Our History — River Diving and Salvage Inc. The services we offer include diving and salvage, inspections, repairs, cleaning and debris removal, underwater video, emergency pumping and patching, air lift bags with up to 100,000 pounds of total lifting capacity (or more if needed), and high resolution sonar underwater locating equipment. 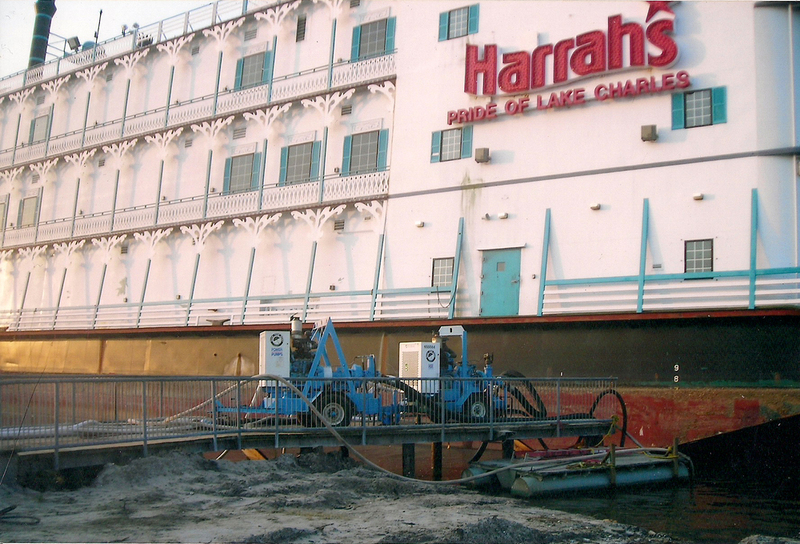 The work we perform pertains to all sizes of pleasure and commercial watercraft including boats, barges, floating docks, water intakes, dock support pilings, sea walls, revetment, piers, cooling towers, water tanks, and water supply and discharge piping. 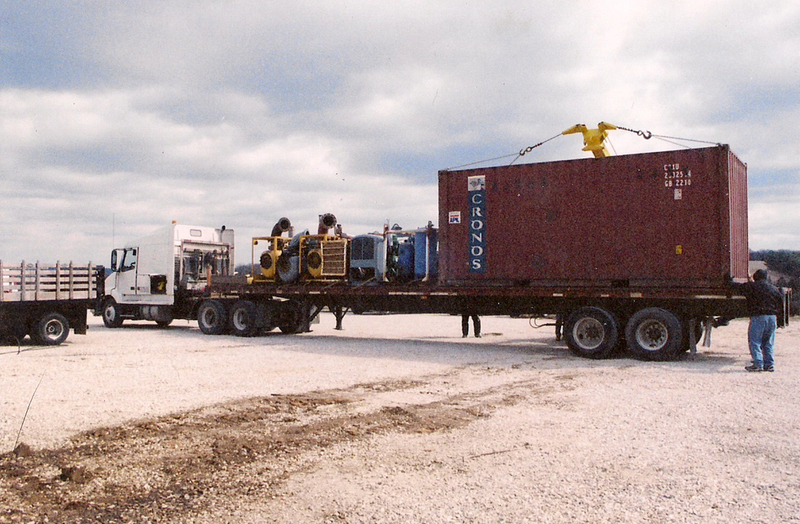 Our fleet of trucks is equipped with diving supplies, welders, oxygen bottles, 2-inch through 10-inch portable high capacity gas and diesel pumps, patching supplies, and various other underwater tools, equipment, and materials. We have a 24-foot fully equipped dive boat, an additional dive boat with a 'A' frame hoist, and a 25-foot sonar boat equipped with a Klein 3900 side scan and an Odem fathometer. River Diving and Salvage maintains a large inventory of portable water pumps of various capacities for water removal and flood abatement. 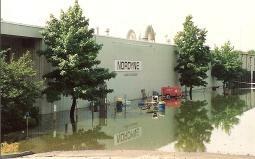 We can help minimize water damage in water-main breakage or flood situations. 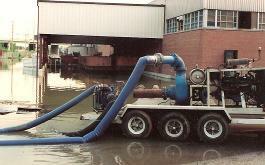 Our big pumps are capable of moving over 4000 gallons per hour! During the floods of 1993, the river height in St. Louis, Missouri was over 19.5 feet above flood stage. Water from the flood covered over 17,000 square miles of normally dry land. This flood caused all sorts of unique situations for the city municipalities, many industrial plants, and river industry. 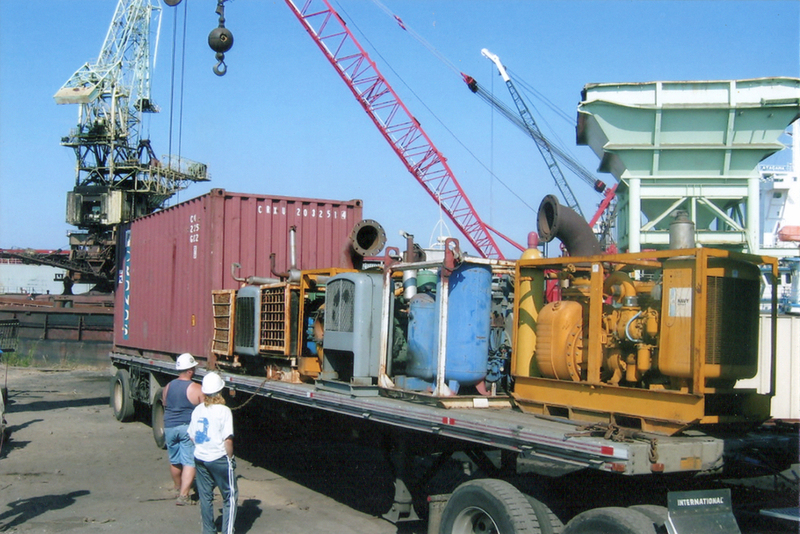 River Diving and Salvage mobilized and made numerous dives inside plants to recover equipment and electric motors. The motors were serviced and ready to be installed when the flood waters receded and plants where ready to go on with business. 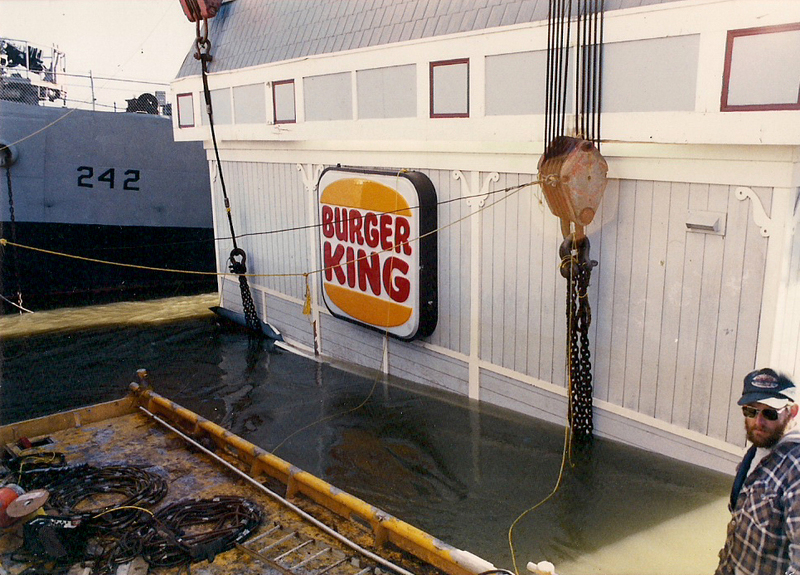 River Diving and Salvage Inc. supplied emergency pump crews around the clock to prevent many businesses from being flooded. We also helped recover several vessels damaged by the floods. 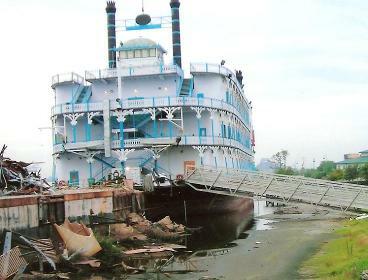 After Hurricane Katrina in 2008, River Diving and Salvage loaded up three flatbeds with pumps and equipment and were contracted by the US Army Corps of Engineers and various Commercial Marine Companies to raise and refloat numerous barges that were sank, beached, or otherwise out-of-service after hurricane Katrina passed through New Orleans and the surrounding Gulf Coast areas. River Diving and Salvage has two locations. One near Bloomsdale, Mo. and another near Paducah, Ky.